Energy is the lifeblood of modern industry. Without extraordinary amounts of it, our modern lifestyles will come crashing down in front of us. If you’re reading this article you already know this and are looking at expanding your knowledge in the field of energy engineering. Energy engineering is the field of using different technologies to extract the many forms of energy from the environment and to convert it into useable electric energy. 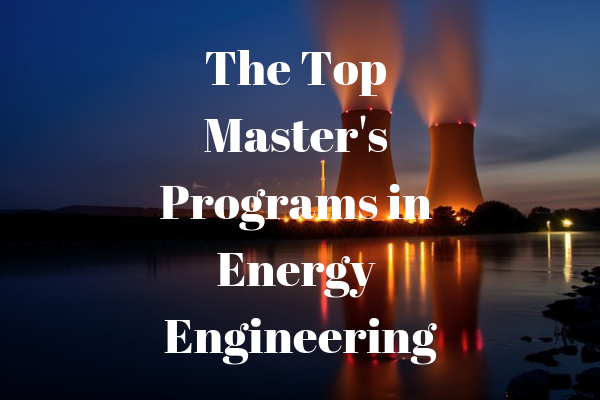 This article lists what we believe are the 11 best master's programs in energy engineering currently available. From the general to the well-known, more specific areas of solar, nuclear and hydroelectric. Additional information about education-advancing engineering courses can be found on New Engineer.com. These courses are more general in their scope and/or do not fit into a specific subdivision of energy engineering. The Master of Engineering Leadership (MEL) in Clean Energy Engineering is a professional degree for engineers who want to excel and drive innovation in the field of clean energy. This hybrid master’s program combines graduate-level engineering courses with UBC Sauder School of Business courses – giving you the skills and confidence to take your career in new directions. The MEL in Clean Energy Engineering program offers a unique combination of technical and business classes – giving you the strategic skills to play a leading role in forward-thinking organizations. Engineering courses span the entire industry value chain, from energy generation, transmission and distribution to energy use and management. This master’s programme focuses more on the electrical and electronic side of energy engineering. Some of the subjects covered are power quality, power electronics and machines and power system protection. This programme focuses on the design and management of energy plants. Emphasis is also given to minimising the environmental impact of these plants. Some of the tracks offered include; Oil & Gas Engineering, Energy for development, and energy engineering for an environmentally sustainable world. This programme focuses on the exploration of current and emerging technologies within the field of renewable energy engineering. Some of the modules included are; Thermo-fluid systems, Solar energy engineering and bioenergy engineering. 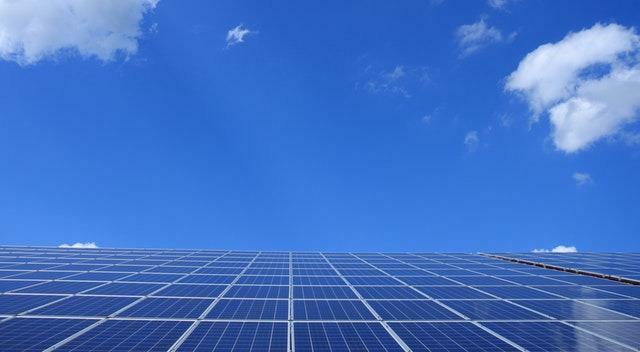 This master’s course covers numerous advanced topics that include but are not limited to; Computer simulation in electronics, equipment and automation of solar power plants and fundamentals of photovoltaics. This master’s programme is taught by industry experts allowing you to gain practical and theoretical knowledge. Some programme activities include visits to solar installations and research centres. The subjects covered are; energy storage, thermal & hybrid systems and design of PV. Despite its negative stigma, nuclear energy is a very efficient form of energy production. It is not going to be phased out any time soon. This is because, despite their high initial start-up costs, the operating costs per kWh are much less than typical alternatives. The primary focus of this masters is to prepare students for industry roles, however, there is the possibility of using the masters to pave the way towards a PhD programme. Some of the core modules include; reactor physics, Advanced Systems & Safety and Nuclear fuels & materials. This programme offers a unique possibility of attaining a dual degree in cooperation with international institutions. Furthermore, the programme prepares students for either the nuclear technology or the technology research fields. Some topics covered in this programme include, heavy metal coolant technology, thermal hydraulics experiments and accident management. This programme aims to provide a high level of interdisciplinary topics. Some of these topics include; thermo-fluid dynamics, reactor physics and materials science. Some of the key objectives of this programme include the provision of complementary knowledge on nuclear fusion and the integration of nuclear energy into energy systems. The use of water as a means to transform energy for practical use has been around for centuries. However, we have advanced far beyond the water wheels of the past. Today’s hydro-electric power generation systems are truly massive in scale. Due to Norway’s reliance on hydropower, this course allows students to gain in-depth insights into the development of hydropower systems. Some of the subjects covered include; hydrology, plant engineering and the planning of a concrete project. This programme focuses on numerous topics that include the history of hydropower and the design of a hydropower station, hydraulic transients, transmission of electric power and pumped storage hydropower. 5 Ways Artificial Intelligence Can Revolutionize Engineering – Are You Ready For It?